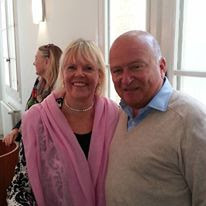 Led by Annette Schiller, the Bordeaux Tour 2015 by ombiasy WineTours took place from September 15 to 24, 2015. The group comprised 8 wine lovers from the United States, including Annette and Christian Schiller. This posting provides an overview. Future postings will focus on specific events of the tour. See the list of postings at the end of the article. Annette Schiller: Our way of traveling allows wine lovers to fully experience authentic Bordeaux. "Bordeaux" embodies not only "wine": The interplay of wine and food is very important. Therefore our tour has a strong culinary component, with exquisite wine pairing lunches and dinners at the Châteaux playing a daily part of our journey through the Bordeaux wine region. Drawing on our love and deep knowledge of the region and close personal ties to many of the Château owners/ managers/ winemakers, our small group visits many of the hidden gems that other tours pass by, but which are essential to feel what Bordeaux is all about. In a nutshell: this is an on ground wine class on Bordeaux! Arrival in Bordeaux, check-in at Hotel La Tour Intendance. 02.30 pm Welcome coffee and introduction to the Bordeaux wine region at Hotel La Tour Intendance. 03.45 pm Tour and Tasting at Millésima (Wine Merchant) in Bordeaux City. We were introduced to the rules, regulations, and peculiarities of the “Place de Bordeaux“ at the prominent wine merchant “Millésima” where over two million bottles of top Bordeaux wines are stored and waiting to be shipped. In Bordeaux, the wine merchants have always played a decisive part in the wine world. The buying and selling of wine, the setting of a price of a bottle of wine from a specific chateau for a specific vintage, the entire conduct of business is described as „La Place de Bordeaux“. The wine trade in Bordeaux goes back many centuries to the time when Aquitaine was English. The stroll through the vast storage rooms felt like being a kid in a candy store. The visit ended with a wine and cheese tasting in the storage rooms. Manuela Picot was our host. 06.30 pm Tour and tasting at Domaine de Chevalier, Graves, Appellation Pessac-Léognan, Grand Cru Classé. This estate dates back to the 18th century and is located in Léognan, the capital of the Graves region. The first grapes were planted by a man who was a chivaley, the old Gascon word for knight. Later the modern French word “Chevalier” was used for the estate, the old name “Domaine” instead of the word “Chateau” to describe a wine making estate has never been abandoned. Like Château Pape-Clément, Domaine de Chevalier is also classified for its red and white wines. In 1983 Domaine de Chevalier was bought by the Bernard family, producers of Cognac and major Bordeaux wine merchants. The estate comprises about 200 acres with 110 under vine. 13 acres are planted with white grapes (Sauvignon Blanc and Semillion) and the rest with the classic Bordeaux blend grapes. Director Adjoint Rémi Edange was our host. Owner Olivier Bernard, who is currently President of the “Union des Grand Crus de Bordeaux”, the association of 133 grands crus estates in the Bordeaux region, joined us on the tour. 08.00 pm Dinner at Domaine de Chevalier, Graves, Appellation Pessac-Léognan, Grand Cru Classé. Following the tour we had a four course gourmet menu with wine pairing in the private quarters of Domaine de Chevalier. Domaine de Chevalier’s Director Adjoint Rémi Edange was our host. This was a very interesting day in Saint-Emilion. We visited three entirely different châteaux and experience three absolutely dedicated winemakers who have three completely different views. The first visit was to one of the most prestigious châteaux belonging to the top 1% in the rankings of Bordeaux. The second visit was to one of the 30,000 or so non-classified châteaux in the Bordeaux region that produce 95% of Bordeaux wines; we met a passionate winemaker who makes beautiful every day wines. During the third visit we met an outstanding winemaker who is a maverick and whose wines have become very expensive; unusually in this price category, he does not sell his wines through the “Place de Bordeaux” system. 09.30 am Tour and tasting at Château Angélus, Appellation Saint-Emilion, Premier Grand Cru Classé A.
Château Angélus is one of the only four (Angélus, Ausonne, Cheval Blanc, Pavie) wine producing estates classified as premier grand cru classé A in the Saint-Emilion appellation. It sits in the middle of a natural amphitheatre on the south-facing hillside of the famous footslope „pieds de côtes“, just half a mile from the village of Saint-Emilion. Château Angélus has been in the Boüard de Laforet family for seven generations. We also tasted the second wine of Angélus „Le Carillon de l’Angélus“ and wine from Château Daugay, which was bought by the Boüard de Laforet family in 1920 and is located right next to Angélus. Laurent Benoit was our host. 12.00 pm Tour at Château Beauséjour, Appellation Puisseguin Saint-Emilion. For centuries this Château and Château Langais have been in the possession of the Dupuy family. Gérard Dupuy, the current owner and winemaker, and his partner Claire showed us around. They have done extensive renovations of this old estate. Since 1947 Gérard’s father Alain has been convinced that the best wines stem from vineyards and cellars that are managed acroecologically, in harmony with the ecosystem. Since 1996 the Château is certified organic by “Ecocert”. 01.00 pm Lunch with wine pairing at Château Beauséjour, Appellation Puisseguin Saint-Emilion. We had a wonderful three course gourmet lunch with wine pairing in the newly renovated dining area at Château Beauséjour that served as the horse barn in the old days. Gérard’s good friend is an excellent chef who runs a restaurant in the vicinity of Saint-Emilion and we enjoyed the meal he prepared for us. Gérard Dupuy joined us for the lunch and guided us through the wine tasting. The tasting took place in the wine cellar of Château Tertre-Rôteboeuf and included the 2014 from barrel. François Mitjavile, the owner and winemaker of Château Tertre-Rôteboeuf, was our host. 07.00 pm At Hotel Au Logis de Remparts, Saint-Emilion. In the evening we explored the narrow cobble stone streets of the spectacular medieval town of Saint-Emilion. 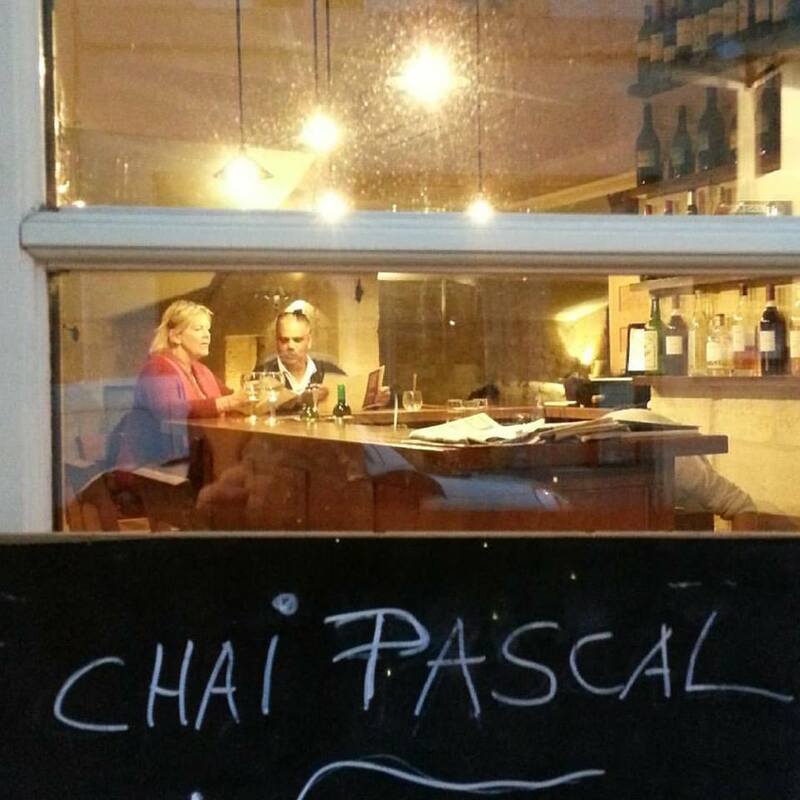 For Annette, me and another group member, the evening ended with a glass of wine at Chai Pascal, one of my favorite wine bars in Saint Emilion. I also bumped into cult winemaker Jean Luc Thunevin. 09.00 am Tour and tasting at Château de Figeac, Appellation Saint-Emilion, Premier Grand Cru Classé. Château de Figeac is one of the 15 Premier Grand Cru Classé B châteaux in Saint-Emilion. Its prominent neighbor is Château Cheval Blanc. The vineyards of Château de Figeac border the Pomerol appellation vineyards and thus the vines grow on a very different terroir than the rest of the Saint-Emilion vines. The Figeac wines show a more “Left Bank” character than the rest of the Saint-Emilion wines. Château de Figeac can look back on a turbulent and eventful history since its beginnings in the 12th century. Wine production started in the 17th century. In 1892 the Manoncourt family took over the Château, restored it to its former glory, and transformed the estate into one of the most elegant châteaux in Saint-Emilion. Gwennaelle Brieu was our host. We also had a chance to talk with Figeac's Director Frédéric Faye about the 2015 harvest. 11.15 am Tour at Château Le Bon Pasteur, Appellation Pomerol. Dany Rolland and Benoit Prevot, General Manager and Winemaker, joined us on the tour. 12.15 pm Lunch and tasting at Château Le Bon Pasteur, Appellation Pomerol with Dany Rolland. We had a three course gourmet lunch with wine pairing at Château Le Bon Pasteur. Dany Rolland and Benoit Prevot, General Manager and Winemaker, joined us for the luncheon and explained the wines to us. 04.15 pm Tour of Saint-Emilion. A guide led us on a walking sightseeing tour through the beautiful town of Saint-Emilion. We also visited the monolith church hewn into the rock the town rests on. 06.00 pm Tour of Château Canon La Gaffelière, Appellation Saint-Emilion, Premier Grand Cru Classé. Canon La Gaffelière also is one of the only 15 Premier Grand Cru Classé B châteaux in Saint-Emilion. Proprietor Count Stephan von Neipperg is a descendant of an Austrian / German noble line dating back to the Holy Roman Empire. Members of this dynasty always played important roles in European history and politics, and have been making wine since the 12th century. The family still owns a wine estate in the Württemberg region of Germany, where their roots are. 07.00 pm Dinner and tasting at Château Canon La Gaffelière, Appellation Saint-Emilion, Premier Grand Cru Classé. 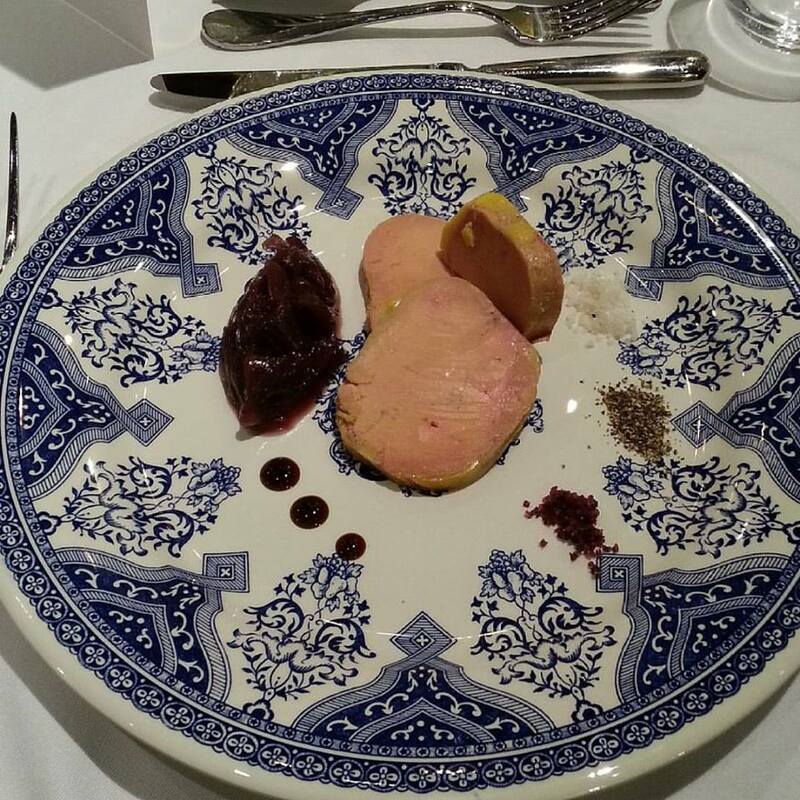 Following the tour we had a four course gourmet menu with wine pairing at the Château. Magali Malet was our host. 09.00 am Departure from Saint-Emilion and drive through the rolling hills of the “Entre deux Mer” wine region to Langon in the Sauternes region. 10.30 am Tour and tasting at Château de Fargues, Appellation Sauternes. The story of Château de Fargues in 1306 when a nephew of Pope Clement V, Cardinal Raymond Guilheim de Fargues bought the property and built a fortress with solid walls and rough stones not at all resembling what we imagine of a “Château”. For more than 500 years, the estate is in the same hands since it had been acquired through marriage by the Lur-Saluces family, a powerful aristocratic family of Southern France, who also owned Château Coutet and Château d’Yquem, among others, until the end of the 20th century. Château de Fargues is a very large estate of mixed farming with 425 acres of land: 250 acres of woods, a system of artificial ponds, a breeding area, cattle pastures, about 65 acres of arable crops and 62 acres under vine. However, producing a “Sauternes” only started in the late thirties of the 20th century when the father of the current owner Marquis Bertrand de Lur-Saluces converted 25 acres of vineyards from red varieties to Semillion and Sauvignon-Blanc. Alexandre de Lur- Saluces continued the work of his father and today 42 acres are planted with white varieties. The vineyards are farmed with respect to the soil; there is no use of herbicides, as fertilizer the cow manure is used instead. Our host was Prince Eudes d’Orléans, 3rd in line of the throne, should a monarchy be reinstituted in France, who is the Managing Director at Château de Fargues. 12.30 pm Departure for Cadillac, on the other side of the Garonne River. 01.00 pm Lunch with wine pairing at Restaurant Château de la Tour in Cadillac. 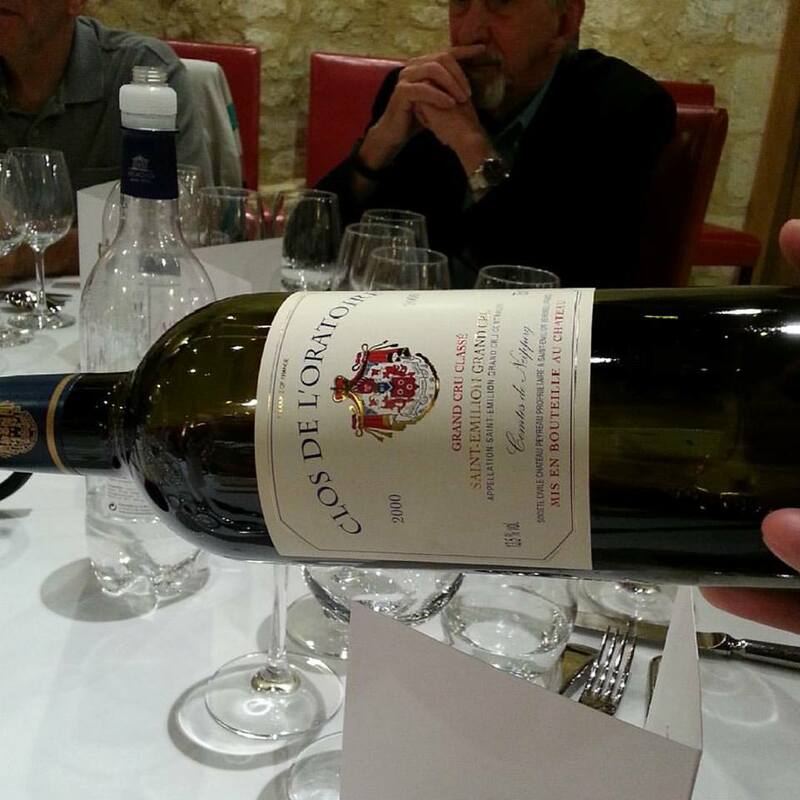 We had the wines of Château Du Cros, a small producer, for lunch. Catherine Boyer, proprietor of Château Du Cros, joined us for lunch and guided us through the tasting. 03.00 pm Tour at Château Du Cros, Vignobles M. Boyer, in Loupiac. After the luncheon we took a short drive to the château where the wines we had for lunch came from. The history of the Château Du Cros began in 1196 at the beginning of the 300 years of English rule over Aquitaine, when Richard Lionheart granted the property to Sir Boson Casau as a fiefdom. Today the Boyer family passionately produces excellent wines: a rich dessert wine from 100 year old vines in the Loupiac appellation, a dry white wine in the Graves appellation, and wonderful red wines. Catherine Boyer, proprietor of Château Du Cros, was our host. 07.00 pm Check in at Hotel la Tour Intendance in Bordeaux City. In the evening we had a chance to explore what the beautiful city of Bordeaux has to offer. Annette and I went ot our favorite wine bar of Bordeaux, Le Wine Bar, to say Hello to Le Wine Bar owner Raphael Cadei. 12.00 pm Tour and tasting at Château Smith-Haut-Lafitte, Appellation Pessac-Léognan, Grand Cru Classé. 01.45 pm Lunch at the 2 Michelin starred restaurant La Grande Vigne. Following the visit and tasting we enjoyed lunch at the 2 Michelin starred restaurant La Grande Vigne, prepared by Chef Nicolas Masse. The restaurant is part of the “Les Sources de Caudalie”, a complex comprising a hotel, several restaurants and a health spa, which the Cathiards constructed next to the Château. La Grande Vigne Sommelier Aurélien Farrouil guided us in our wine selections. The menu was a fixed menu chosen by Annette Schiller. 04.00 pm Drive back to Bordeaux. Annette and I spent the evening with 2 other group members in one of the numerous brasseries/bistros/restaurants in Bordeaux with a couple of bottles of superb Bordeaux. We did as the French do on Sundays: go on an excursion to the country side and enjoy a wonderful luncheon. 10.00 am Departure from Bordeaux and drive to Grand-Piquey, Basin d’Arcachon, the famous oyster harvesting bay. 11.15 pm Tour of the Earl Ostrea Chanca oyster farm and oyster tasting in Grand-Piquey. Oyster farmer Ralph Doerfler, our host, loved the weekend family outings to visit his grandparents at their cabana on the Arcachon Bay when he was a child. It was then that he fell in love with the sandy beaches of the bay, the life style away from the hustle and bustle of Bordeaux city, and the smell and taste of oysters. Growing up he decided to study and learn everything there is to know about oysters. Ralph Doerfler showed us how he raises his oysters and guided us through the oyster tasting. 01.00 pm Lunch at Pinasse Café, Cap Ferret, with a gorgeous view over the bay, the oyster farms and the village of Arcachon and the Dunes de Pilat, the largest in Europe, in the distance. 04.00 pm Departure from Cap Ferret and drive to Bégadan, Médoc. 05.45 pm Tour at Château Le Reysse, Vignobles Paeffgen, Appellation Médoc, in Bégadan. The Medoc sits north of St.-Estèphe, downstream on the Gironde estuary and embraces Pauillac and Saint-Julien to the west. Château Le Reysse was run by Patrick Chaumont, the second generation owner, for several decades. In 2010 Château Le Reysse was bought by Stefan Paeffgen, who holds a Doctorate in agricultural science and who in another life worked in the agriculture industry in his home country Germany and in Scandinavia. He always had a passion for the wines of the Médoc and at age 46, he was at a crossroad and made the decision to go back to practical agriculture. He searched for a winery and finally found this great spot in Bégadan. Stefan makes stunning wines and last year his wines were awarded the Cru Bourgois classification. 06.45 pm Dinner and tasting at Château Le Reysse, Vignobles Paeffgen, Appellation Médoc, in Bégadan. Following the tour we had charcuterie and cheese at the château and a tasting of the wines of Château Le Reysse. Stefan Paeffgen and his wife Heike were our hosts. 09.15 pm At Hotel/Restaurant Le Vignoble-France et Angleterre in Pauillac. 09.15 am Tour and tasting at Château Léoville Poyferré, Appellation Saint-Julien, 2ième Grand Cru Classé. Léoville Poyferré exists as its own domain since 1840, when the big Léoville property was divided into three smaller entities. The current owner, the Cuvelier family bought Château Léoville Poyferré in 1920. At that time the Cuvelier family was already established in the wine business as important wine merchants in northern France. Since 1979, Didier Cuvelier has managed the estate. During the tour, we had a chance to chat with Cellar Master Didier Thomann and Vineyard Manager Bruno Clenet. The tasting was led by Didier Cuvelier in the blending/tasting room of Château Léoville Poyferré. 11.30 am Tour and tasting at Château Pichon-Longueville-Baron, Appellation Pauillac, 2ième Grand Cru Classé. The history of this estate can be traced back to the late 16-hundreds and matches the history of its twin estate across the street, Pichon Longueville-Comtesse de Lalande until the Pichon estate became divided in 1850 due to inheritance circumstances under the Napoleonic laws. Château Pichon-Baron (for short) stayed in the de Pichon-Longueville family until 1933 when the last surviving family member sold it to Jean Bouteiller, member of a family well-known in the Bordeaux wine scene. His heirs did not manage to keep the quality of the wines and in 1987 the estate was bought by AXA Millésimes, whose goal was to enable great wines from vineyards with a glorious past to achieve their full potential. Total reconstruction of the fermenting room and cellars, and renovation of the château itself, began in 1988. Excellent terroir across from the 1st growth Latour property, stretching south bordering the Léoville estates in Saint-Julien gives the wines elegance, balance, and finesse. The elegance of the wines in combination with the beautiful, graceful Château, which is one of the most stunning ones in the Médoc, make this estate very special. During the tour, we were welcomed by Jean-Rene Matignon, Technical Director. 12.30 pm Lunch with wine pairing at Château Pichon-Longueville-Baron, Appellation Pauillac, 2ième Grand Cru Classé. Following the tour we had a gourmet menu in the private quaters of Château Pichon-Longueville-Baron, prepared by Chef Thibaut Gervas, with wine pairing. 03.00 pm Winery tour, museum tour, and tasting at Château Mouton-Rothschild, Appellation Pauillac, 1ière Grand Cru Classé. Château Mouton-Rothschild -as we know it today- came into existence in 1853, when Baron Nathaniel de Rothschild - from the English line of the Rothschild family - purchased the estate - which was then called Château Brane-Mouton - and renamed it using his name. It was when his greatgrandson Philippe de Rothschild took control over the estate in the 1920s that winemaking and wine selling changed drastically. In 1924 he was the first one in Bordeaux to bottle all his wines at the Château. The custom of having an artist design the labels started with this first bottled vintage. Since then each vintage features an original piece of art commissioned from the Rothschild’s circle of friends. Baron Philippe also introduced the idea of a “second label” which is now the “Mouton Cadet”. The vineyards total 200 acres. In terms of red grapes, 80% is Cabernet Sauvignon, 10% Cabernet Franc, 8% Merlot and 2% Petit Verdot. There is also Sauvignon Blanc, Semillon and Muscadelle, for the estate's white wine, which can only be labeled as Appellation Bordeaux Controlée, and not as 1ière grand cru classé, since there is no such thing as a white classified wine allowed in the Médoc. Gerome Schwartz was our host. 05.00 pm Back at Hotel/Restaurant Le Vignoble-France et Angleterre in Pauillac. Time to to stroll along the banks of the Gironde and to explore the village of Pauillac. 08.45 am Drive to Vertheuil. Along the route we passed several famous estates and stopped for picture taking, including Châteaux Mouton Rothschild and Lafite Rothschild as well as Cos d’Estournel. 09.15 am Visit of the Cooperage Berger & Fils in the village of Vertheuil. We witnessed the fascinating art of making a “real” barrique. Berger & Fils is one of the top notch cooperages in France. 11.45 am Lunch at the restaurant Le Peyrat in Saint-Estèphe, right on the banks of the Gironde. This unassuming, very traditional French restaurant is always packed for lunch, because it is the favorite hangout for the winemakers of the neighboring chateaux. Last time we bumped into the winemakers of Sociando-Mallet; this year we were joined by the grape pickers of Sociando-Mallet. 02.15 pm Tour and tasting at Château Lafon-Rochet, Appellation Saint-Estèphe, 4ième Grand Cru Classé. Basile Tesseron was our host. We were also greeted byMichel Tesseron, Directeur Technique Lucas Leclercq and Vineyard Manager Anaïs Maillet. 05.00 pm At Hotel Relais de Margaux in Margaux. 08.00 pm Dinner at Restaurant L’Ile Vincent at the Relais de Margaux. 09:30 am Tour and tasting at Château Rauzan-Ségla, Appellation Margaux, 2ième Grand Cru Classé. This château came into being when Pierre des Mesures de Rauzan bought many vineyards in Médoc, including the plot which belongs to Rauzan-Ségla today. By the time of Pierre de Rauzan’s death in 1692, 100 acres of vineyards belonged to Château Rauzan-Ségla and their wines were highly regarded. Throughout the centuries the Château changed hands several times and lived through ups and downs. In the 1960s the estate was in bad shape and the new owners Liverpool shipping magnates John Holt and Brent Walker started the long process to turn around Château Rauzan-Ségla. Heavy investments went into vineyards in decline and into the outdated cellars and technology. Signs of improvement were visible in the 80s and this shows in stunning wines from those years. In 1994 the Wertheim family of Chanel bought the Château. This is a perfect match. The philosophy of the Wertheims concerning their products: top quality, elegance, long term thinking – all this applies to wine as well. Estate manager and winemaker is John Kolasa, who has been working in Bordeaux for 43 years and who was for 10 years the manager at Château Latour before the Wertheimers asked him to oversee the operations at Château Rauzan-Ségla. 11.30 am Tour and tasting at Château Palmer, Appellation Margaux, 3ième Grand Cru Classé. Wine has been produced at this estate since 1748. In 1814 the vineyard was purchased by a General Charles Palmer (1777-1851), who served under Wellington in the British army against Napoleon. His lavish life style forced him to sell his property in Margaux in 1843, but despite this short period he left his mark; the property, vineyards and wine remain Château Palmer to this day. The Château changed hands multiple times until it was acquired in 1938 by a syndicate of four very prominent Bordeux families, the Sichel, Ginestet, Miailhe and Mähler-Besse families, forming the Société Civile du Château Palmer in the process. In the meantime the Ginestet and Miailhe families have pulled out. The heirs of the Sichel and Mähler-Besse families remain shareholders of the consortium. Today, the vines of Château Palmer cover a surface of 52 hectares located in Margaux and Cantenac, made up of 47% Cabernet Sauvignon, 47% Merlot and 6% Petit Verdot. The Palmer wines have consistently been rated as “super-second” Margaux and a recent tasting confirmed this. 03.30 pm At Hotel La Tour Intendance in Bordeaux City. 06.00 pm Tour at Château Haut-Bailly, Graves, Appellation Pessac-Léognan, Grand Cru Classé. At Château Haut-Bailly wine has been produced for more than five centuries. Like many Bordeaux estates, the property changed owners multiple times over the centuries. However, three owner families put their mark on the estate. In 1630 it was bought by the Le Bailly family which eventually gave the estate its name. In those days the château had about 80 acres under vine, roughly the same as today. There were many ups and downs during the centuries and by the 1950s the estate was in a sorry state. A wine merchant from Belgium, Daniel Sanders, bought the château in 1955 and started intensive renovations. His efforts proofed him right and Château Haut-Bailly was one of the 16 wine producers awarded with the Grand Cru Classé certification in the 1959 classification of the Graves estates. In 1998, Elisabeth and Robert G. Wilmers – he is an American banker, she is French – bought Château Haut-Bailly and spared no expenses to invest in the vineyards, winery, and the château to give the estate the possibility to keep producing top quality wines. Château Haut-Bailly is managed by Véronique Sanders, fourth generation of the Sanders family. Véronique Sanders and Robert G. Wilmers work hand in hand sharing the goal to produce top notch wines of outstanding character. Diana Paulin was our host. We talked with Cellar Master Jean Christoph during the tour about the 2015 vintage. 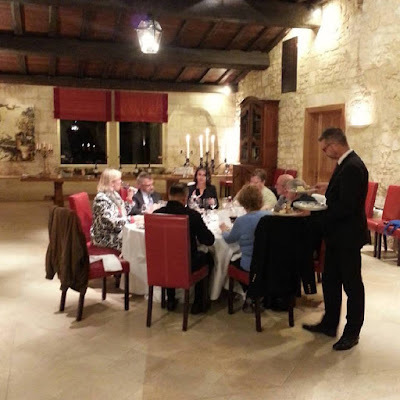 7.30 pm Dinner and wine pairing at Château Haut-Bailly, Graves, Appellation Pessac-Léognan, Grand Cru Classé. We enjoyed a four course wine pairing gourmet dinner in the beautiful private quarters of the Château. We started with Champagne on the terrace. We then proceeded to the dining room and where we were served a delicious meal, prepared by the private chef of Château Haut-Bailly, Jean-Charles Poinsot. We took the coffee/tea in the living room and had the opportunity to tour the kitchen to personally thank the chef for his inspirational menu. This exclusive dinner celebration in the private living quarters of the owner was the perfect finale of our wine and gourmet tour. Diana Paulin hosted us.Chef Jean-Charles Poinsot prepared the dinner. 09.00 am Breakfast at the hotel. This was our last activity together. Tour and Tasting at Millésima (Wine Merchant) in Bordeaux City. Tour and Tasting at Château Angélus, Saint-Emilion, Premier Grand Cru Classé A. Tour and tasting at Château de Figeac, Saint-Emilion, Premier Grand Cru Classé. Tour and Tasting at Château Mouton-Rothschild, Pauillac, 1ière Grand Cru Classé.